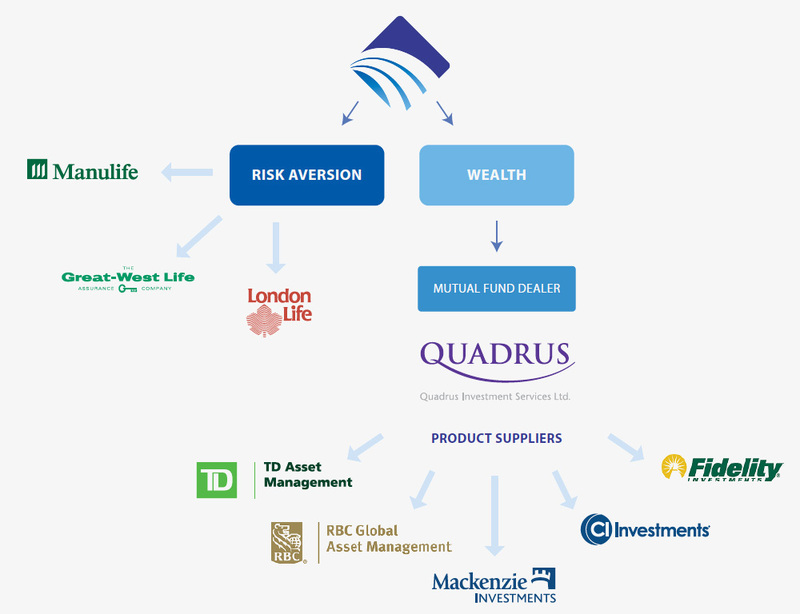 Moore Wrinn Financial Group offers mutual funds through Quadrus Investment Services Ltd.
Insurance products, including segregated fund policies are offered through Moore Wrinn Financial Group. Has helped Canadians meet their financial security needs for more than 130 years. Founded in London, Ontario, in 1874, London Life offers financial security advice and planning through its Freedom 55 Financial division. Freedom 55 Financial offers London Life’s own brand of savings and investments, retirement income, life insurance and mortgages, in addition to a broad range of financial products from other leading financial institutions. London Life is a subsidiary of The Great-West Life Assurance Company and a member of the Power Financial Corporation group of companies. As of December 2005, it has more than $49 billion of assets under administration. Was founded in Canada in 1891. Great-West and its subsidiaries, London Life Insurance Company and The Canada Life Assurance Company are members of the Power Financial Corporation group of companies. Together, Great-West and its subsidiaries serve the financial security needs of 12 million people across Canada, and as of December 2005, they have more than $134 billion in assets under administration. Great-West’s disability and critical illness insurance, as well as its employee benefits products are available to Freedom 55 Financial through an inter-corporate agreement. Is the holding company for Sun Life Assurance Company of Canada. It has been operating in Canada since 1871 and as of December 2000 has total assets under management of $329 billion worldwide. Sun Life Financial offers, among other things, a competitive line of life insurance and retirement products that are made available through an inter-corporate agreement with Freedom 55 Financial. Was founded in Canada in 1887. With interests in Canada, U.S., and Asia the Manulife Financial manages assets of $115 billion. Through an inter-corporate agreement with Freedom 55 Financial, they have made available a line of their competitive insurance and retirement products.